There is a Sufi saying that two veils separate us from the divine—health and security. As we age we begin to understand how these two words start to define what is truly important in life. According to Moshe Milevsky, finance professor at York University’s Schulich School of Business, for a couple who is 65 today, there is a 50% chance at least one of them will live to 90 and a 22% chance one will reach 95. With advanced age, however, often comes disability and loss of independence caused by chronic illness. Canadians on average now live the last 10 to 12 years of their lives with disabilities, many of them the result of chronic illness. According to a recent Globe and Mail article by Andre Picard, chronic diseases pose a greater threat than a pandemic flu. Falls pose a particular threat to the aging. Among those aged 65 years and older, 85% of all injury hospital admissions were for falls. A fall can be the beginning of the end because so many other adverse events result from a fall – including hip fractures, isolation, admission to a nursing home or death. I believe that Alzheimer Disease and related dementias are the diseases of the 21st century. The greatest risk factor is age; approximately 35% of those over age 85 will suffer from some type of dementia. Chronic illness eventually leads to long term care and gradual loss of independence. 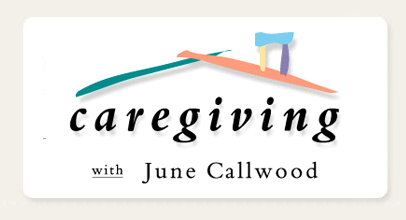 How long does long term care last? The real answer is: No-one knows. We do not have statistics on how long home care lasts but the average stay in a long term care facility or nursing home is about 2.5 years. My personal care experience lasted 14 years; my father stayed in his own home for 10 years and in facilities for 4 years. Loss of independence leads to loss in many other areas of life. Physical losses include loss of mobility and the resulting loss of freedom. Social and psychological losses include less interaction with others, a reduced quality of life and feelings of helplessness and hopelessness. In addition, financial loss resulting from chronic illness and loss of independence can be crippling for a number of reasons. Unlike hospital care home care is not covered by the Canada Health Act; therefore what was free in the hospital – medications, supplies etc. – have to be paid for when being cared for at home. Job loss resulting from illness or from being a caregiver can be devastating, particularly for women who leave the workforce for many years to care for parents or a spouse, losing both salary and future pension earnings. 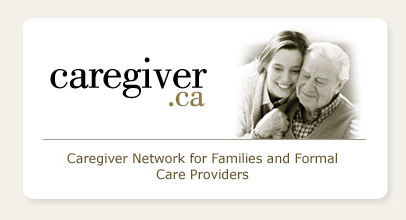 To date Canadians do not benefit from any sort of outright caregiver allowance. Available instead we have tax relief or indirect compensation. Although some amounts increased in 2004, too many caregivers do not qualify and even if they do, the complex tax calculations and rules may be beyond them. In my view, today (and the next 20 years) is the best time to be a financial advisor. I see the tipping point (a sociological term that refers to the moment when something unique becomes common) on the horizon for long term care in Canada, due to the convergence of demographics, spiraling health care costs and a boomer generation who wants to control its destiny – and quality and accessibility of health care. Canadians are rapidly becoming more open to change regarding long term care delivery and the financial options available to them. Educate your clients. Discuss long term care with ALL your clients, regardless of age. Better planning means better preparation, because a health care crisis can occur at any age. Suggest a family meeting NOW, before such a crisis occurs. If you were faced with a long term care need tomorrow, where would the money come from to pay for it? Have you had a discussion with your children/spouse about how long term care services would be provided and paid for if you needed care? Did your parents live long lives? Does Alzheimer’s run in your family? 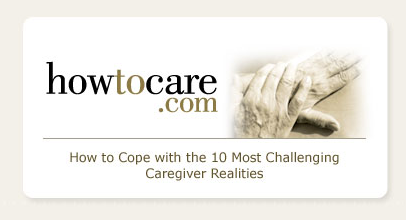 Understand terms and definitions of services such as home care, retirement home/nursing home care etc. My father died at the age of 93, suffering from multiple conditions including crippling spinal arthritis, stroke disease and mixed dementia. He always told me that you don’t want to be poor when you’re old. I had too many years to see how right he was.